John Badham directed several anti war movies during my formative years. 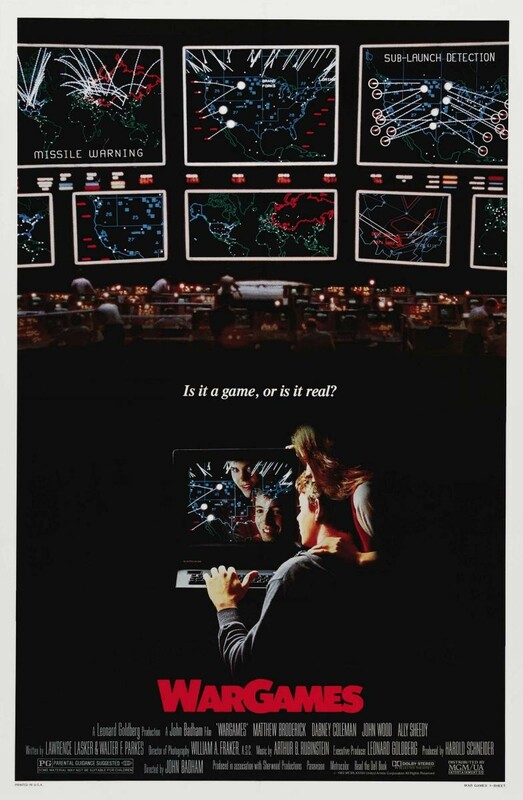 Short Circuit was probably the most commercially successful; Blue Thunder enticed me with its helicopter and jet fighter action; but WarGames (1983) is probably the most important of those, due to its accuracy and not only ongoing relevancy but rather increased relevancy. The movie came out just as personal computers for the home started being a thing mere mortals could indulge with. It follows a teenager (Matthew Broderick), a hacker from a time before the word became common with the plebs. His hacks involve “upgrading” his school grades as well as those of his female friend that’s not exactly a girlfriend but is pretty close (you know what it’s like, male nerds don’t have girlfriends). Yet our hacker is a curious fellow, and on his ongoing curiosity driven quest for poking around the internet (in a pre-internet world) he stumbles upon what seems to be a games repository. Only that it’s not a games repository: it’s actually the USA Strategic Command’s Skynet, or rather the computer the USA handed the rights to manage its nuclear weapons to. So while our hacker thinks he’s playing a game, the President is thinking the USA is under a nuclear attack from the USSR. Can common sense prevail, or are we all doomed to die due to a computer granted too many privileges, a backdoor, and an innocent hacker? Although 35 years old, and displaying technology of a far simpler nature than is available today, the principles behind WarGames are all still there: social hacking, backdoors, stupidly simple passwords - nothing you don’t read about in coverage of the Daily Big Hack mainstream media reports to us all the time. While it can be argued we are no longer under the knife’s edge when it comes to nuclear war, it does not change the fact the same scenario we are witnessing in the movie applies to everything computerised in our daily lives. For example, Australia is about to force its implementation of an electronic health system upon its population within a few months, limiting (and hiding) the option to opt out of this system. Does anyone doubt that eHealth system is weakened by vulnerabilities and all manner of backdoors, which would - eventually - see all of its contents fall into the wrong hands? I don’t. Which, if anything, shows we haven’t learned anything in the 35 years since WarGames came out. Overall: While certain aspects are not up to contemporary standards (say, production value), WarGames still makes a valid point. 4 out of 5 paranoid crabs. It is rather unusual for movie to bring us the loser’s story; Hollywood is all about glorifying the winner. Yet bringing us the loser’s story is the whole point of I, Tonya. As someone who lived through the events around Tonya Harding’s controversial ice skating career, I recall receiving nightly updates about her latest leg bashing affairs through Jay Leno’s Tonight Show jokes. What I, Tonya goes to show, however, is that life is more complicated than a talk show's joke. There is more to the real story than this. That story is about a young girl growing up in poverty in the USA, and about how she and her mother (so excellently portrayed by Margot Robbie and Allison Janney) had to struggle in order to support the girl in doing something she turned out to be really good at: ice skating. Despite her abundance of talent, the girl had to face many closed doors along the way, mainly because ice skating is a rich people’s sport. Eventually, through mixing up with the wrong people (portrayed by the movie in ever so comically a way), she fell on the wrong side of the tracks. This tragic story of the poor in our world, and the extra trouble they have to go through when they try to get out of the mire, has touched me quite deeply as I watched I, Tonya. It reminded me of another very effective movie in this arena, Hell or High Water. Technically speaking, I think it is safe to assume it was not Robbie who performed all of the ice skating tricks the movie provides. I do wonder what digital magic was involved. A nice eighties, more or less, soundtrack featuring my favourite Cliff Richard song seals the deal on an excellent movie. 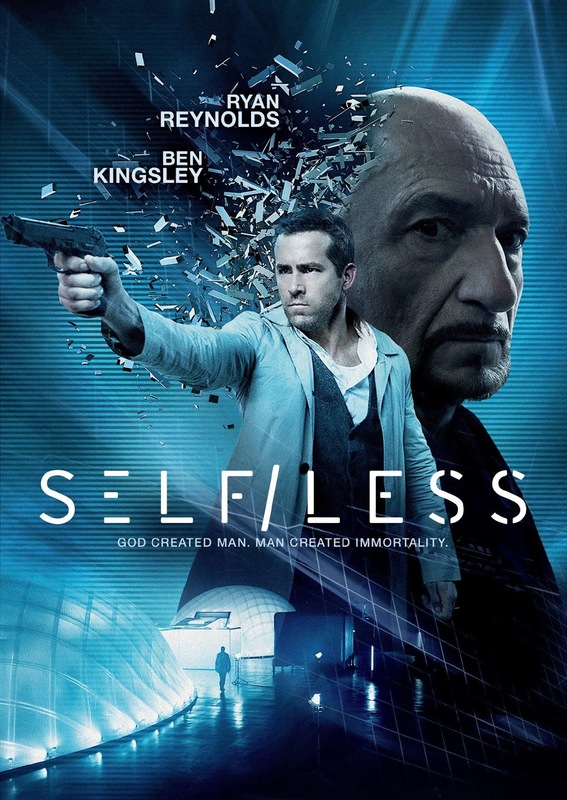 A rich person dying of cancer (Ben Kingsley) takes part in a secretive operation that has his consciousness transferred to a young man’s body (Ryan Reynolds). It’s only afterwards that he discovers that, unlike what he was told, that body used to belong to someone. Our now young and able protagonist grows a conscience and tries to do the right thing. Problem is, a science fiction movie idea with much potential quickly turns into yet another cliche action movie. Guy saves girl, guy kills baddies, and who cares about the premises, really? Probably the worst thing about the movie is the credit it gives one Donald Trump (in the movie’s end credits). I suspect that’s due to our millionaire’s home being Trump’s IRL hideous gold covered mansion. Overall: 2 out of 5 crabs. Una’s story is rather tough to digest and affects the whole experience that is watching this film. It tells the story of a young girl who has had a sexual relationship with an adult. The relationship has been exposed and deeply impacted both lives. 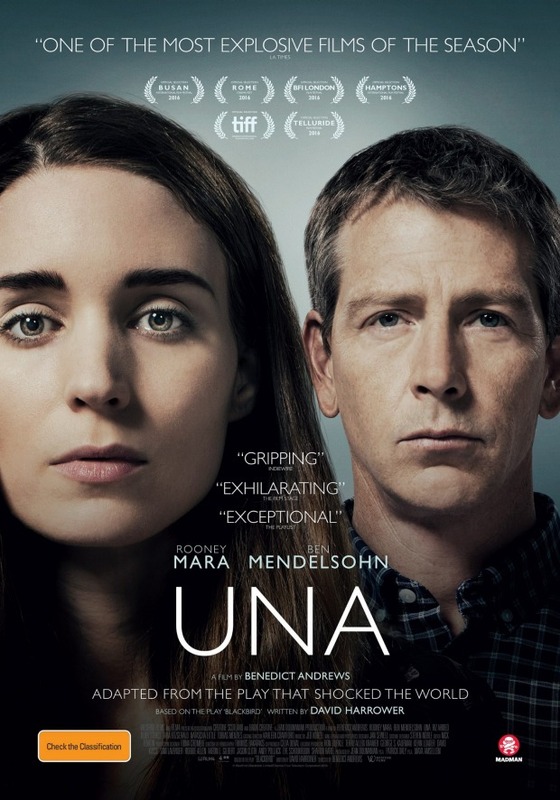 Now, years later, the now adult girl, Una (Rooney Mara) shows up and forces herself into the life of her former older lover (Ben Mendelssohn). The outcome is not the most pleasant of watches; this is not your switch the mind off Marvel superhero movie, but rather an invasive look into the lives of deeply traumatised people. The leads do a magnificent job and carry this hard to crack affair across; they probably had to, given Una is a play translated to the screen that definitely still feels like a play. Overall: A very dramatic drama that is definitely not suitable to all occasions. 3 out of 5 crabs. Plot wise, it doesn’t sound like there is much to Three Billboards Outside of Ebbing, Missouri. 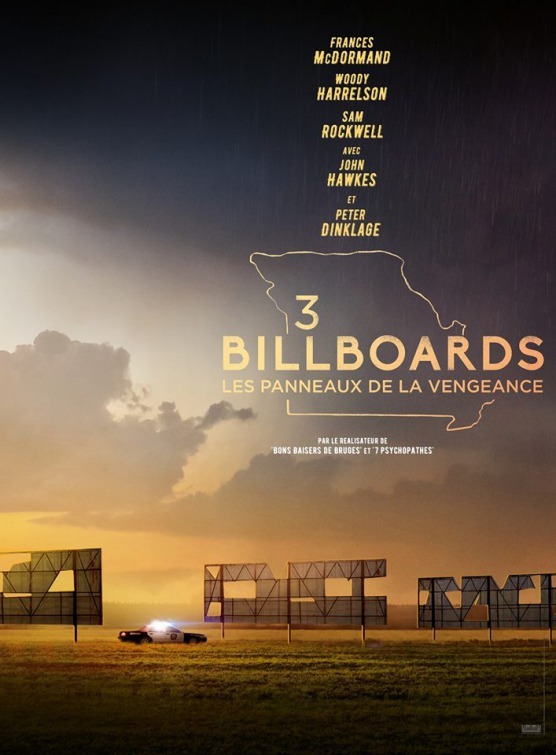 It’s the story of a mother (Frances McDormand) whose daughter was raped and killed who, frustrated with the lack of progress with the police investigation (led by Woody Harrelson), pays to have three otherwise neglected billboards outside her small town mock the police. The catch, if you will, is that the ensuing story ends up a bit like a Forrest Gump affair. As in, the story it tells us about this little town and what happens in it as a result of these signs being put up offers us a mirror into the soul of the USA and the various processes it is going through. The same healing process that Forrest Gump saw in America is taking place inside of Ebbing, Missouri, and is best represented through the character of a knucklehead cup (Sam Rockwell). Which leaves us with a gripping comic drama of top quality featuring multiple round characters and excellent acting across. Indeed, the only complaint I can make is to do with Abbie Cornish’s character (that of Harrelson’s wife) feeling rather out of place due to the significant age difference between alleged husband and wife. If that difference was intentional to the telling of the story then I have failed to detect that. Overall: Clearly one of the best movies of the past year, if not the best. 4.5 out of 5 crabs. 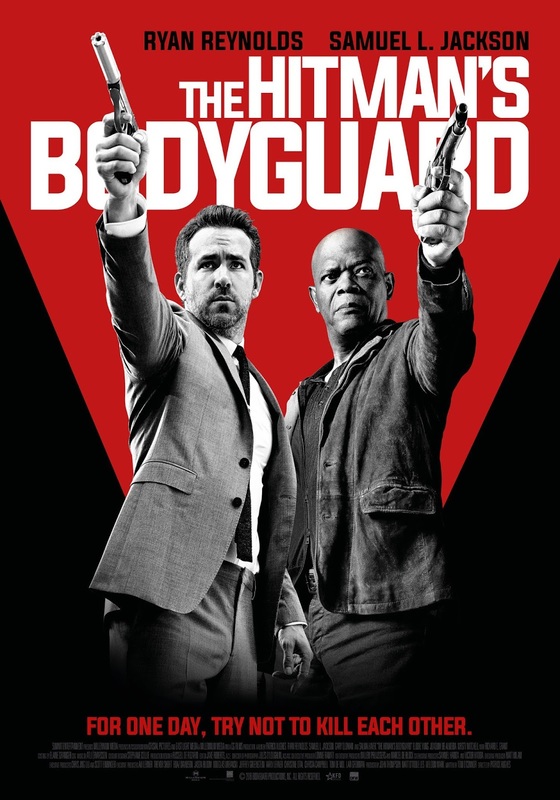 Switch your brain off and join an action bonanza of a grade we've seen plenty of times before, this time featuring a bodyguard (Ryan Reynolds) whose noble task is to protect the principled hitman who ruined his life (Samuel Jackson) so the latter could testify in the trial of an evil guy with less principled killings under his sleeve (Gary Oldman). Nothing we haven’t seen before to see here, including tons of baddies that graduated from the Imperial Academy. Other than the names to its credit, Hitman’s Bodyguard is a truly empty vessel. Overall: 2.5 out of 5 crabs for an action roller coaster trying too hard to generate the occasional laugh but is running on empty throughout. The main achievement of Brad’s Status, an otherwise run of the mill American movie production, is that it deals with a malady I so totally suffer from. 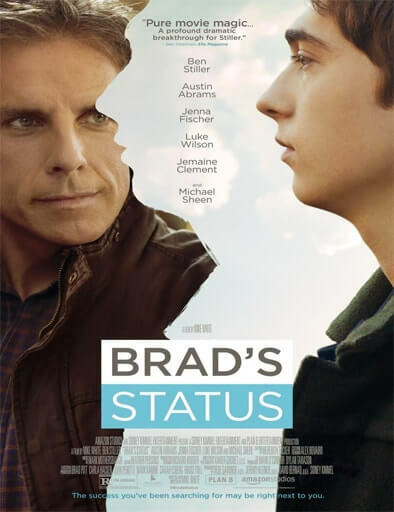 Its hero (Brad, of course, as in - Ben Stiller) is an over the hill, past the prime of his life, very frustrated guy. Frustrated because despite all the promises of youth, he finds himself at a position where he is the lesser of the group of peers he grew up with. They are all of higher statuses, higher incomes, and vastly superior social positions; whereas he, despite all the right aspirations, runs an unsuccessful business and is a member of an ordinary family. They’re famous, they’re jet setters, and he’s a struggling nobody. He’s been keeping himself busy pursuing his ideals and doing his best to be a good father, while they used their time to become hotshot celebrities. These are the premises, and - naturally - I applaud a film that takes upon itself to tackle a problem that I am struggling with myself. However, as one can expect from a movie aimed at the masses, one need not expect the problem to be solved; one can expect, on the other hand, some superficiality in the discussion that entails. On the positive side, one gets some nice cameos/small roles, like the one from Michael Sheen. Brad is actually a very successful person, in the grand scheme of things, and compared to the vast majority of people in this world he is way better off than almost all of them (with the notable exception of the 1%). He should therefore stop regarding himself as a failure. Brad may not be as professionally successful as his former colleagues, now members of that 1% group, but if he was to pick at each of those “more successful” cases then they will unravel - one by one - for Brad to see that they all have their own sets of issues. We think they are so good, but in fact they should envy us! That is to say, Brad (and by extension, us viewers, too) will see that we wouldn’t actually want to trade places with them. At the end of the day, the only people that care for Brad are the people closest to him; as it happens, these people (in Brad’s case, his son) do not care at all about his status. They just love him. I have to add that, personally, I find none of these explanations too convincing. That is to say, they may be true to one extent or another, but there are notable exceptions to each one of them, exceptions that imply they are not all conquering arguments. Since, to repeat myself, I grapple with the same problem as Brad myself, I will mention my own solutions: First and foremost, I question the whole paradigm of determining success in life through financial gains and status; there clearly is more to life than this. To point at the most obvious example, Donald Trump is not exactly the materialisation of my life’s dreams no matter how rich he is or how high a status he may have. Second, I find that my happiness depends on much more than financial gains. Yes, one needs to have enough money so as to not have to worry about having a roof over one’s head, but once that is covered than the important things in life - the things that make life worth living - are more to do with interacting with people you love and doing things you like doing (which, ironically, explains why rich people have the potential to be happier, because they do not have to take jobs that the lesser blessed among us cannot afford to say no to). If we go back to Brad’s case, he certainly qualifies with these two criteria. I would therefore argue that he is a successful person, almost as successful as I am. 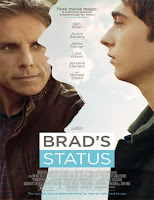 Overall: Cinematic art wise, Brad’s Status is a mediocre film. I, however, found it quite gripping due to the personal identification factor, and will therefore grant it - despite the shallowness of its discussion - 3.5 out of 5 crabs for daring to put a troubling problem front left and centre.